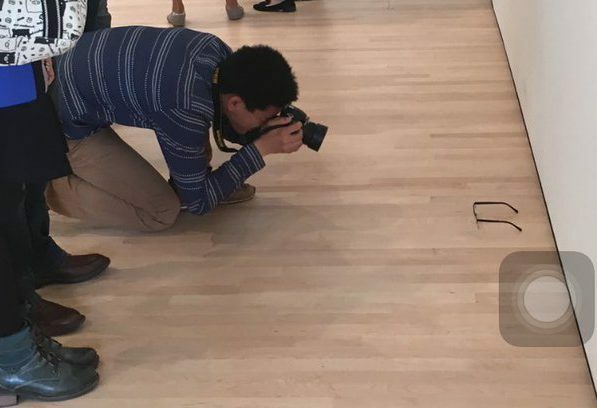 What happened when this prankster strategically placed a pair of plain glasses on an art gallery floor in San Francisco? Exactly what you thought would happen. People fell for it, badly. Staring, thinking, pondering, taking photos – because a random pair of glasses is all it takes to create a postmodern masterpiece right? 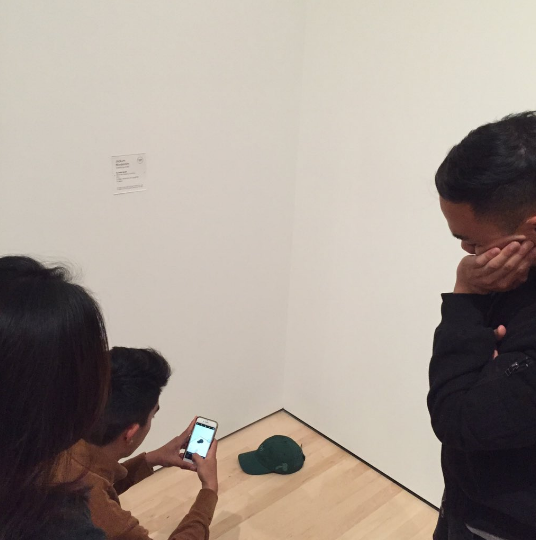 It appears that Twitter user TJ Cruda, real name TJ Khayatan, was the social media guru behind the stunt, posting numerous photos onto Twitter showing befuddled art gallery visitors trying to make some sense out of the new wave prized gem, reports Buzzfeed. 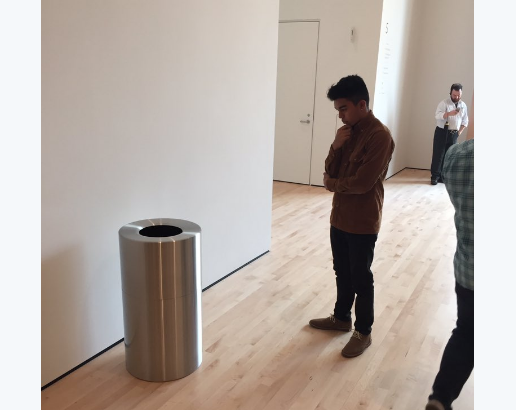 The 17-year-old prankster conducted his social experiment in the San Francisco Museum of Modern Art earlier this week before posting the results onto Twitter which went viral. Upon first arrival we were quite impressed with the artwork and paintings presented in the huge facility. However, some of the ‘art’ wasn’t very surprising to some of us. We stumbled upon a stuffed animal on a gray blanket and questioned if this was really impressive to some of the nearby people. And thus, the motivation to fool the ‘cultured’ visitors of art galleries was born, and TJ and his friends decided to get them good. And boy did it work. 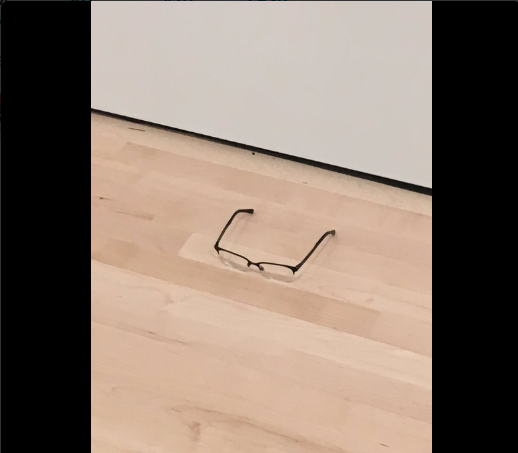 They also performed a few other pranks on the gallery visitors with props such as a bin and a baseball cap, but none had the same effect as the glasses. It’s all about the glasses. Sadly it appears that the days of Bacon, Freud, Pollock, and Caravaggio are long gone in the art world. Now all it takes is a prankster to create a ‘postmodern masterpiece’. Also in the world of art recently is the exciting new exhibition going on in London’s Chisenhale Gallery that nobody can go to see because the gallery will be closed for the duration of the exhibition. And even if they could get in, there’s nothing to see as there’s no art inside. Why? Because art.